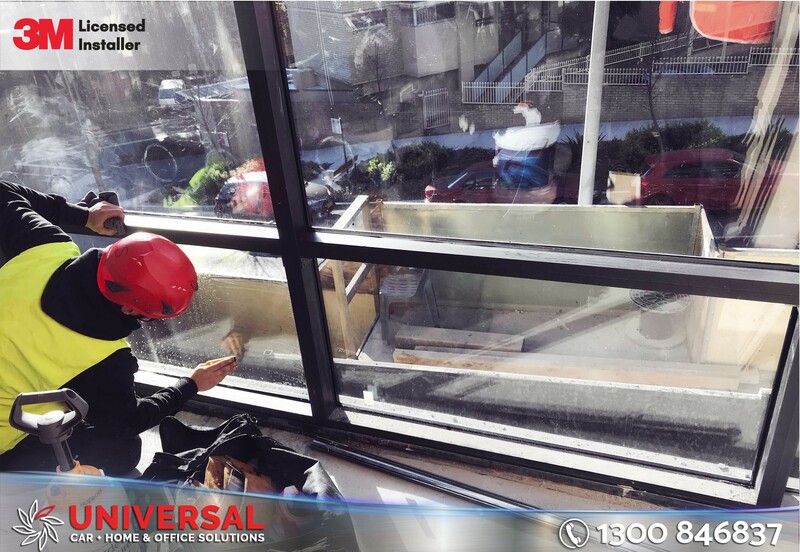 At Universal Tint no job is to small and no job is too big! 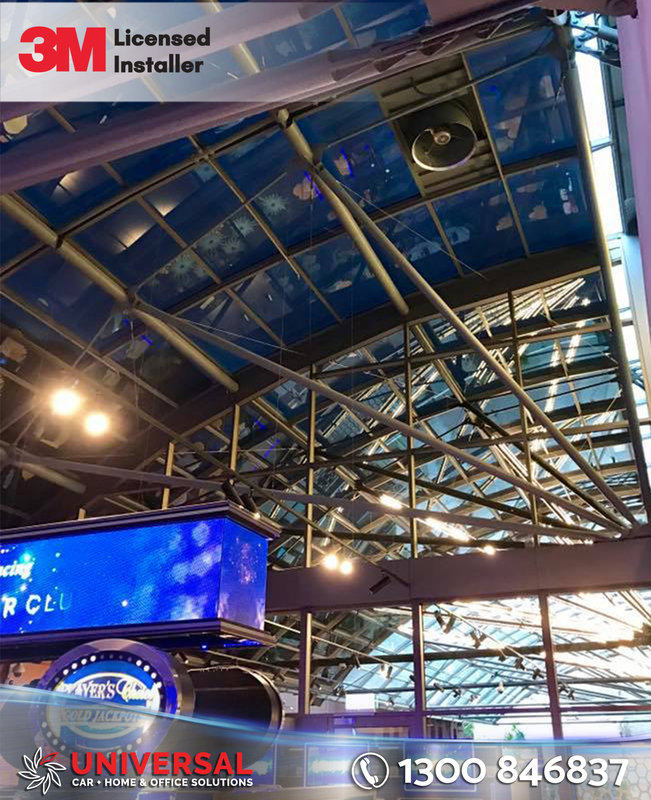 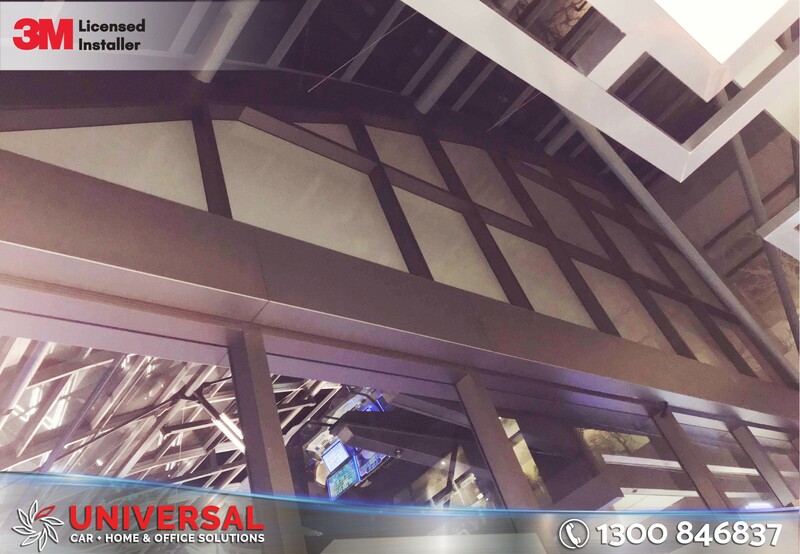 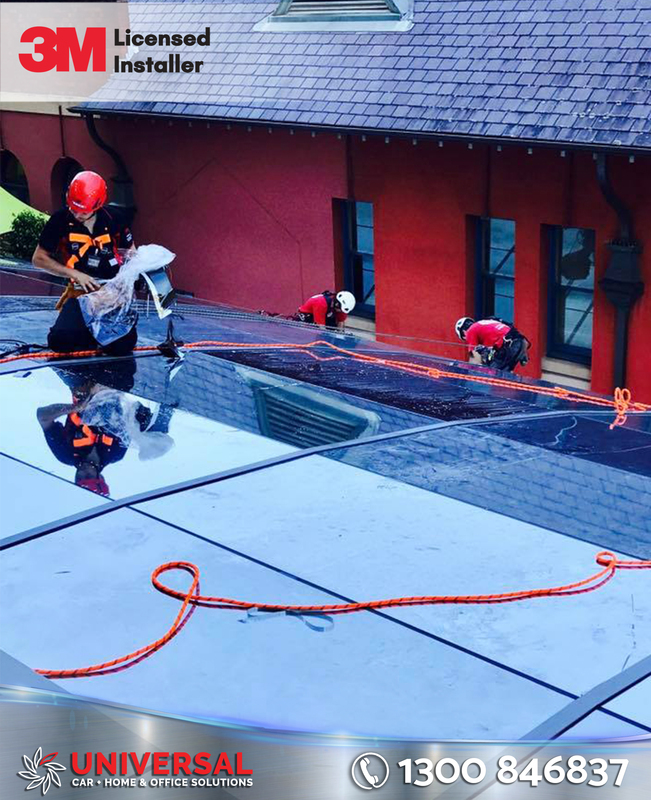 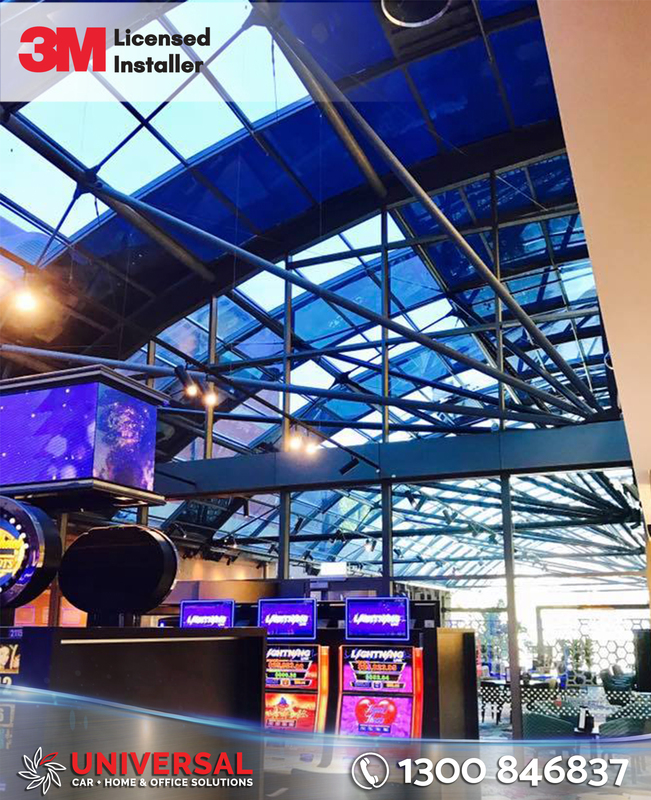 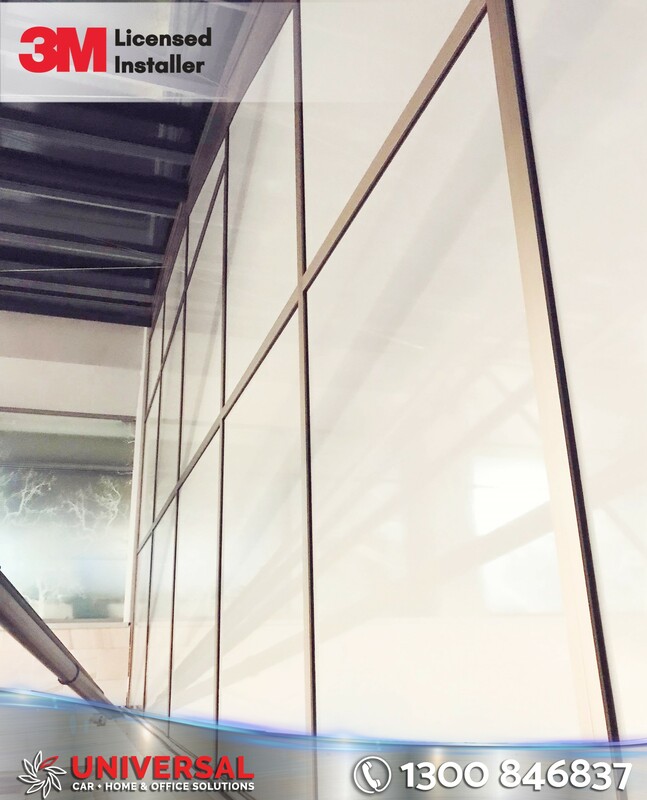 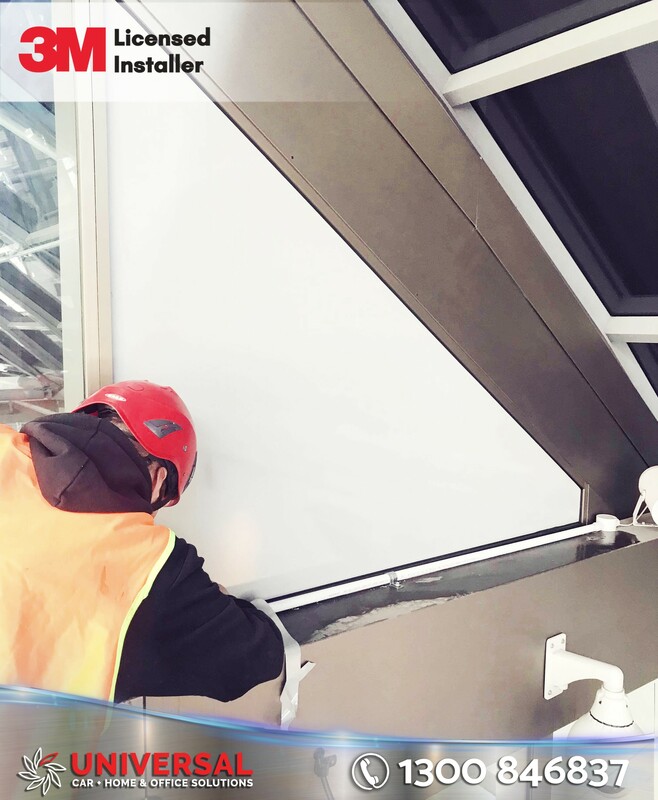 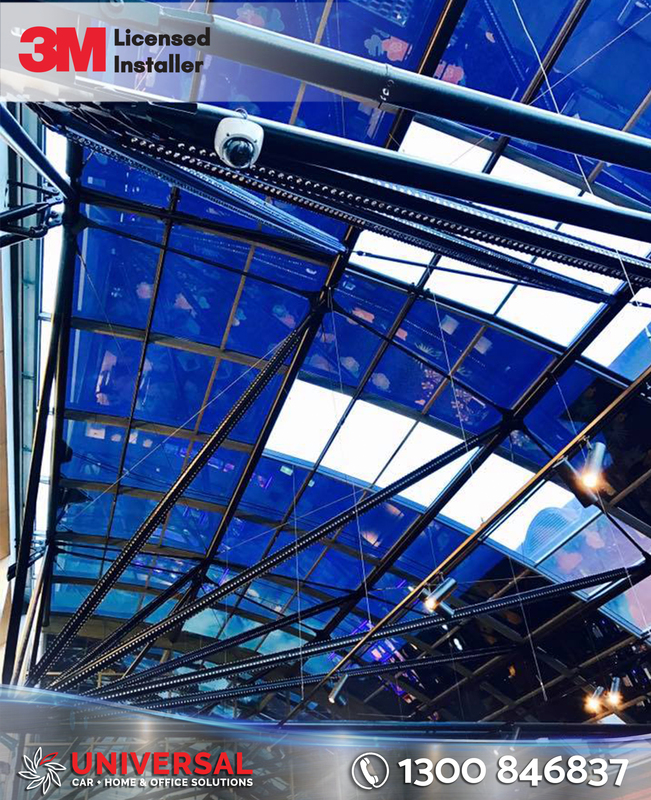 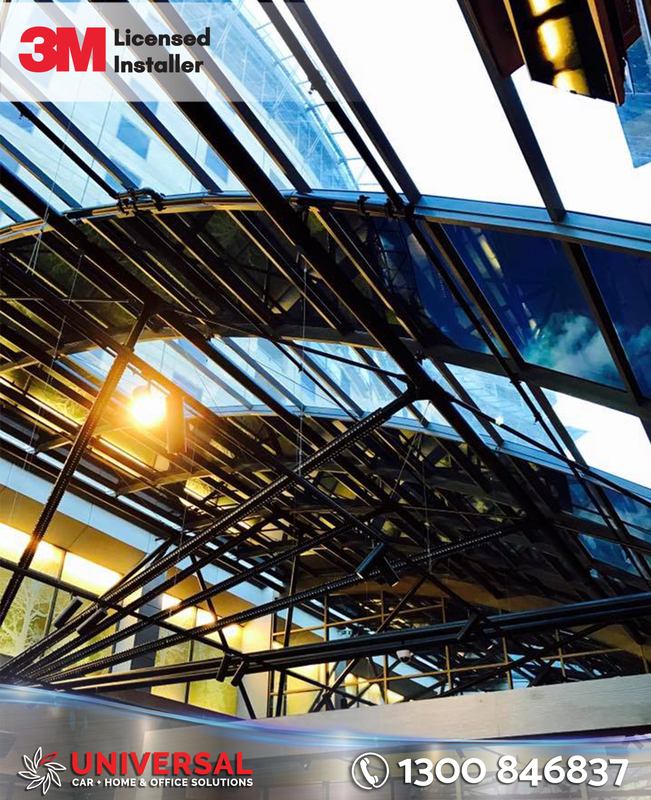 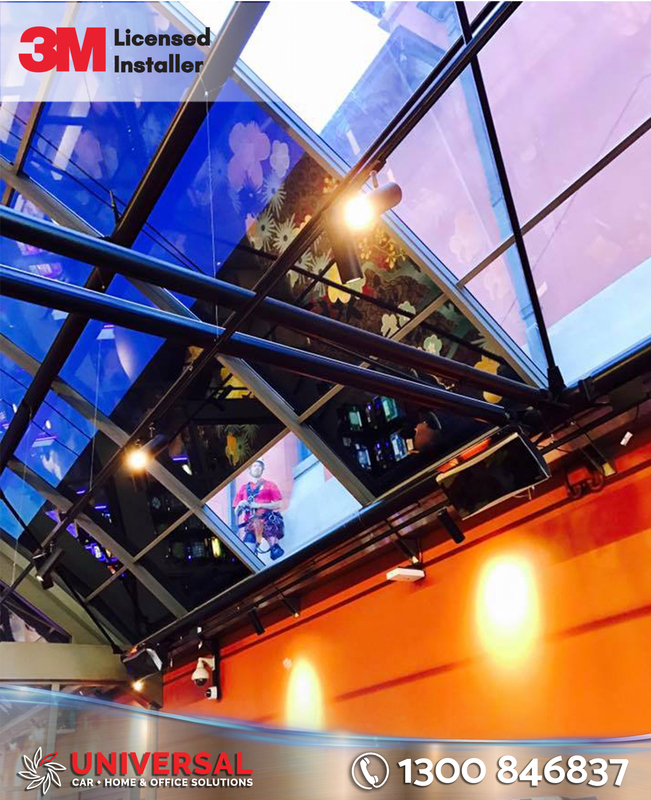 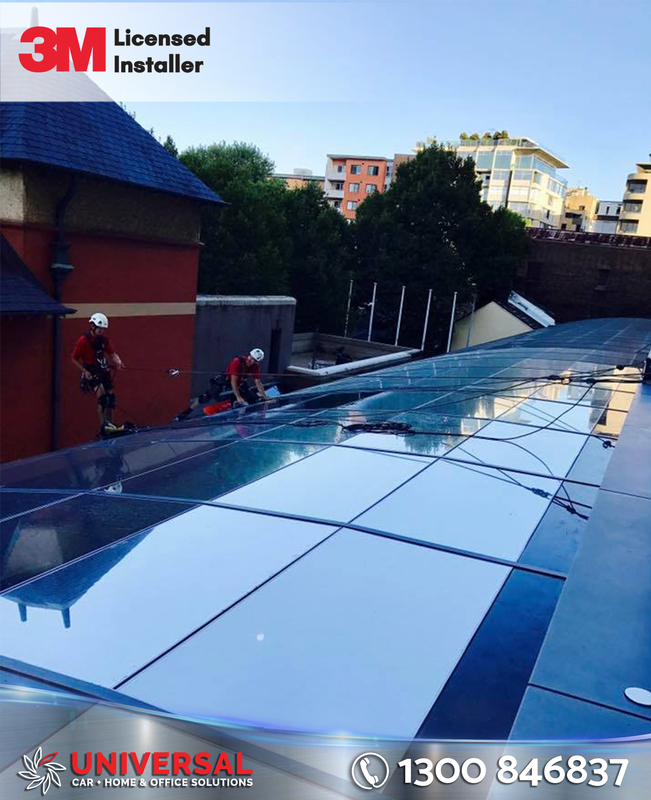 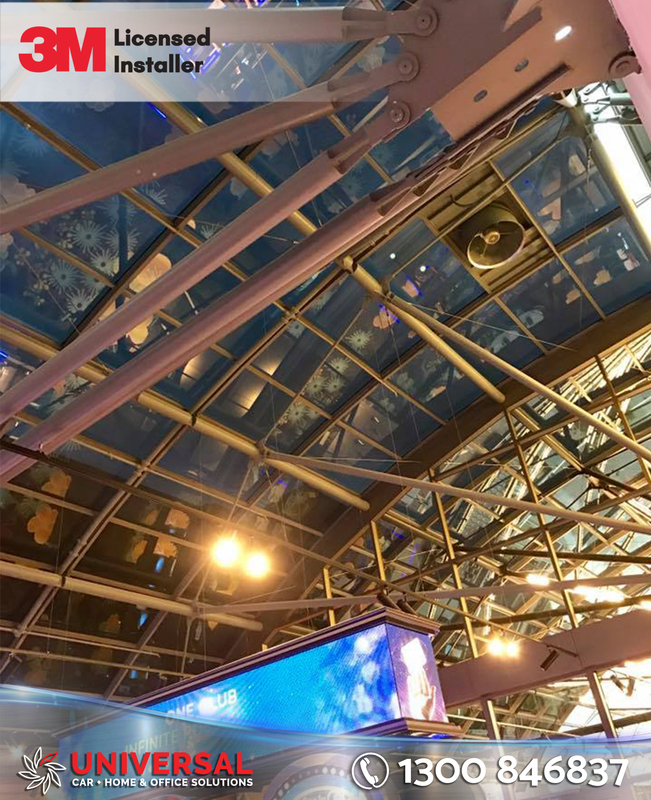 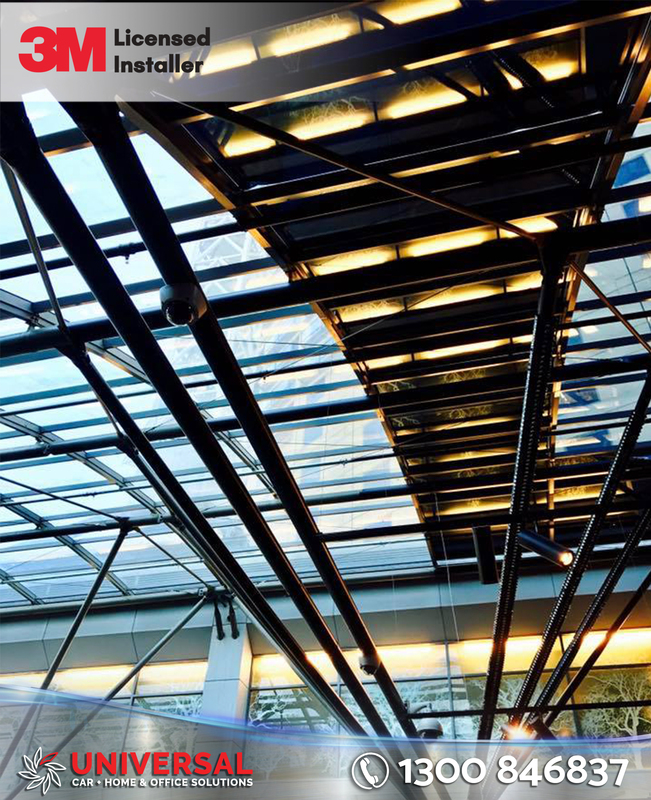 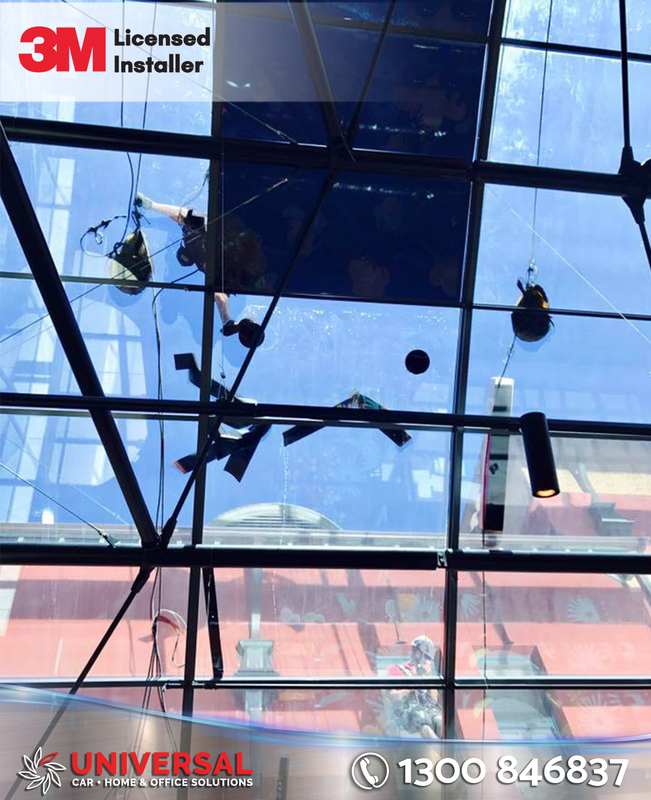 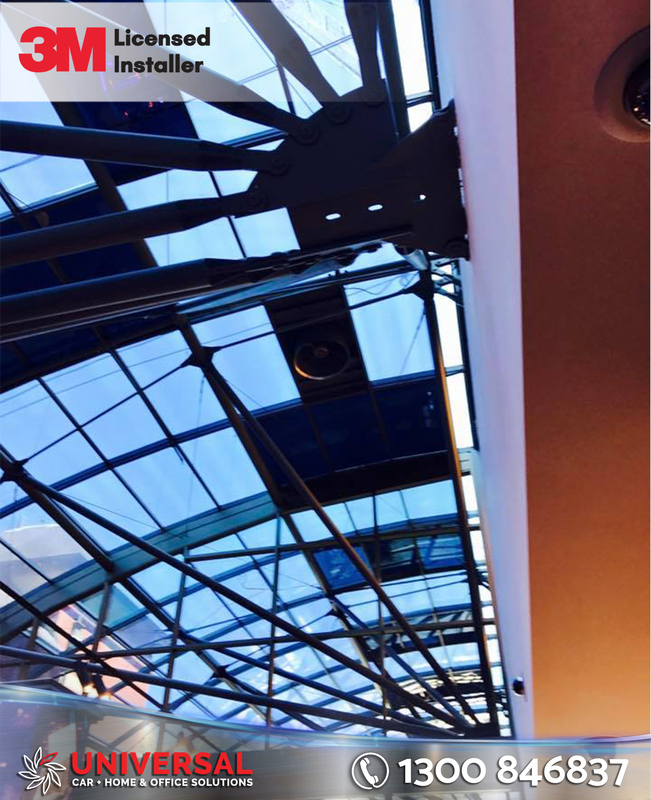 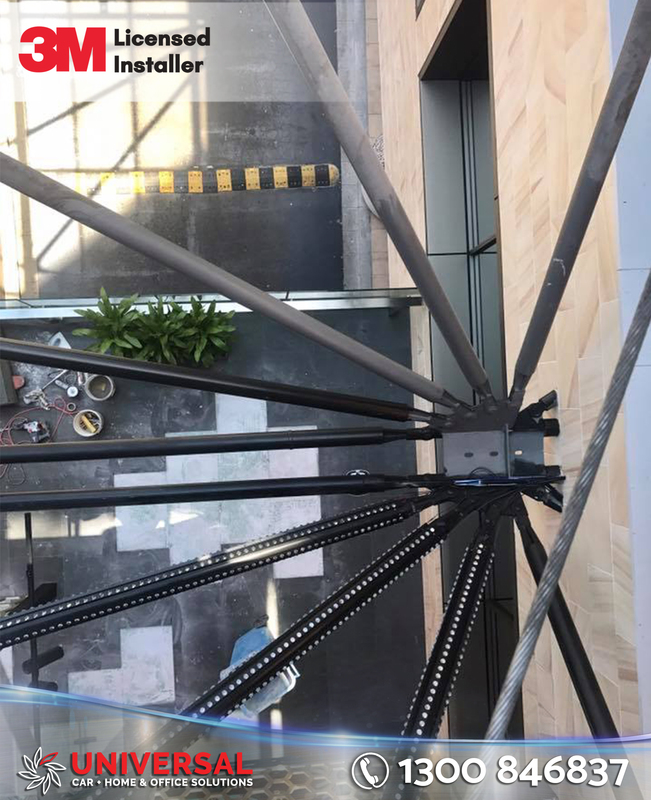 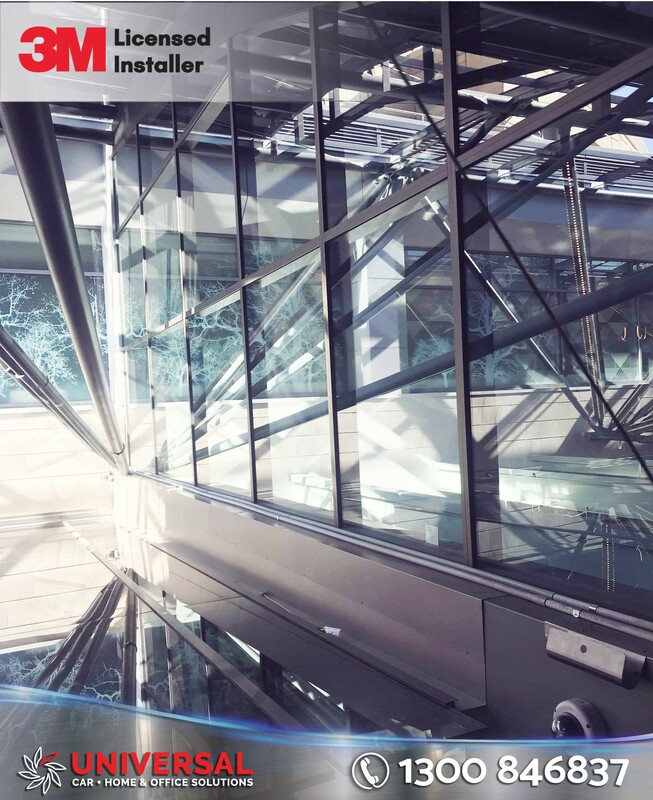 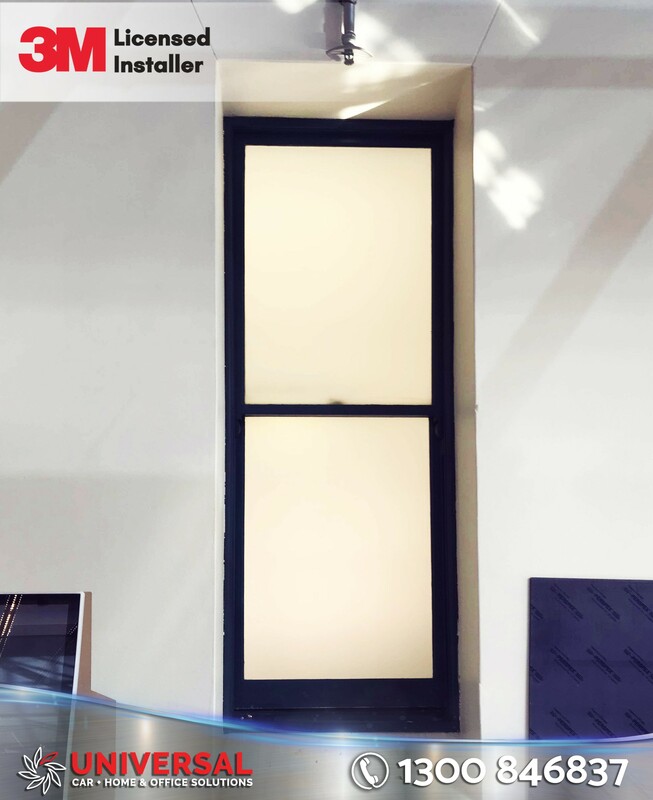 External Anti-Glare window film was applied to the glass roof panels of Sydney’s Star Casino to prevent heat and glare entering the gaming lounge. 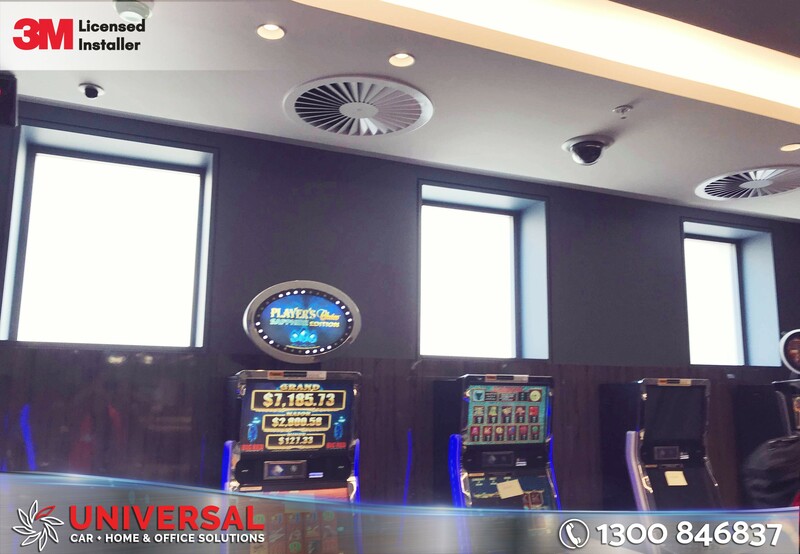 Frosted window film was also applied to gaming windows to reduce glare on to gaming machines and give added privacy to patrons. 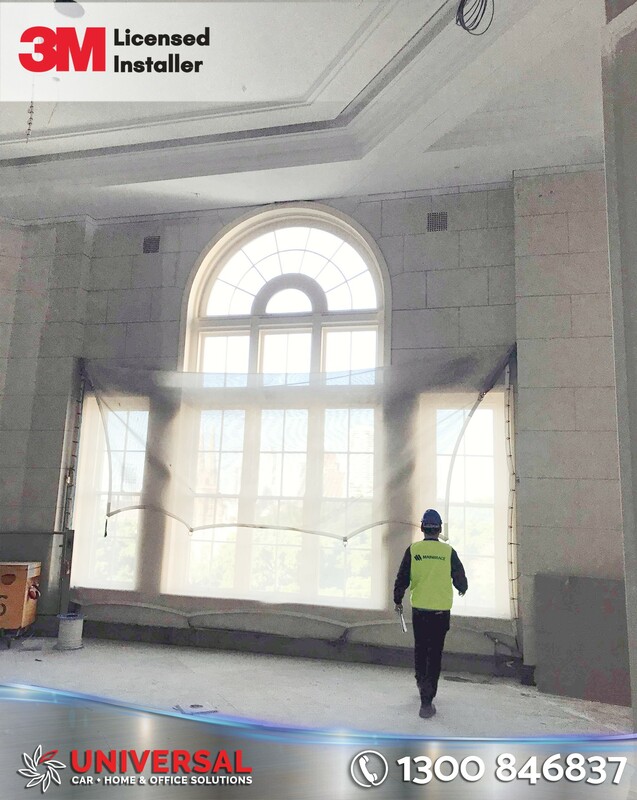 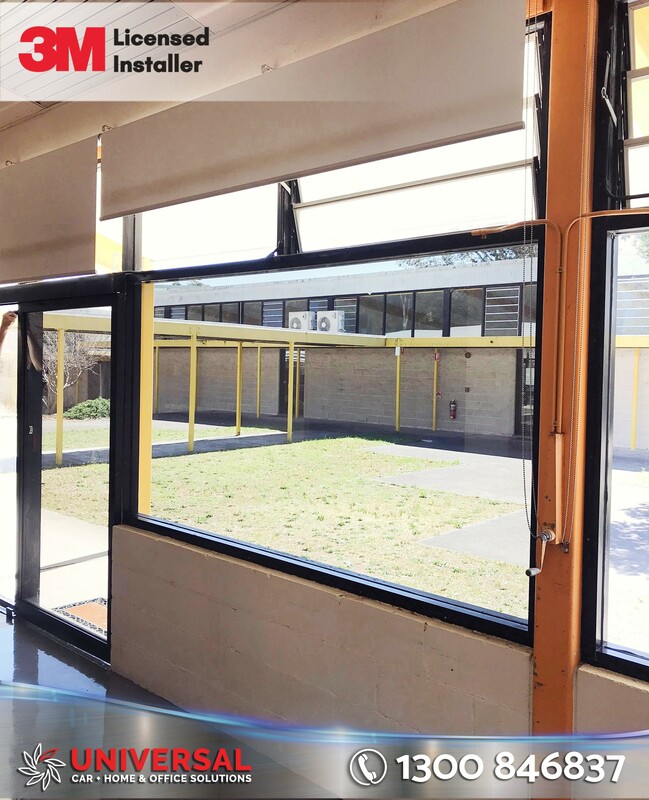 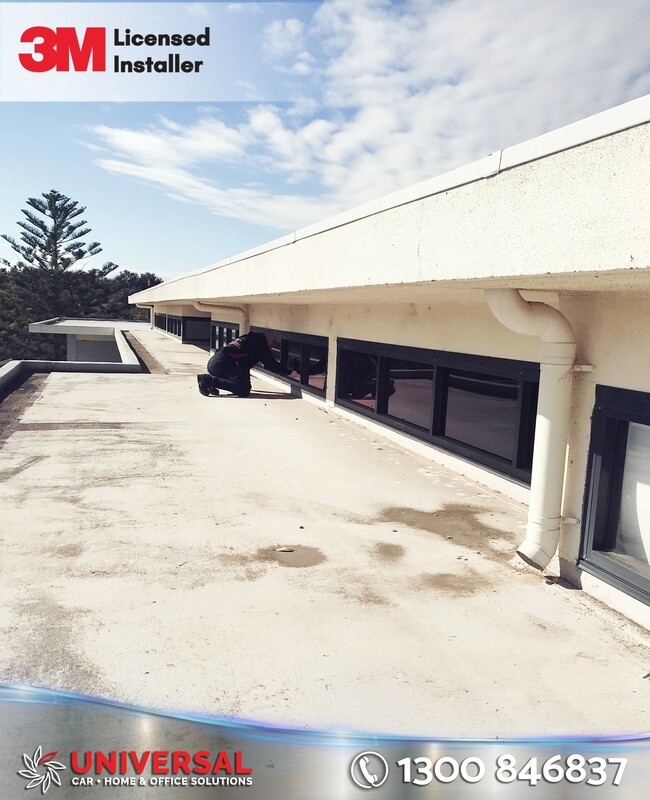 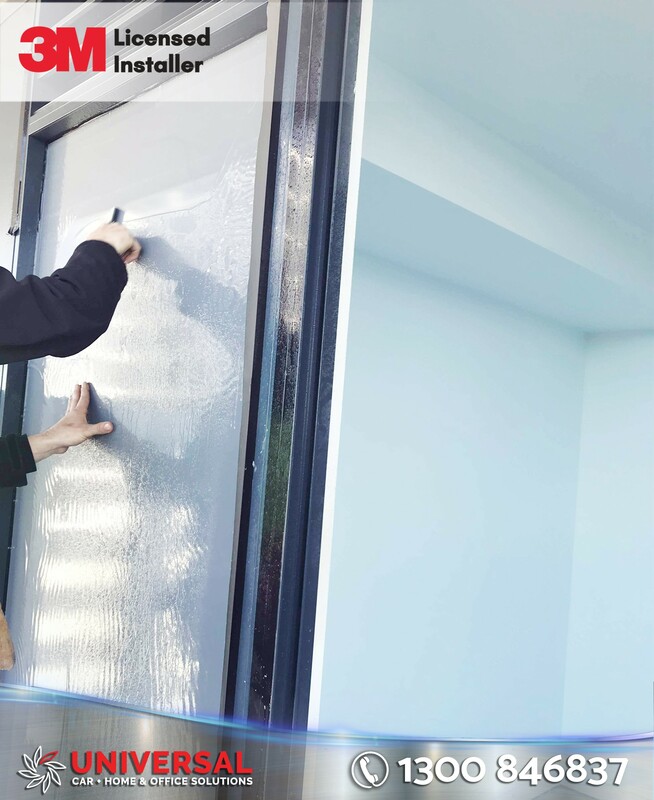 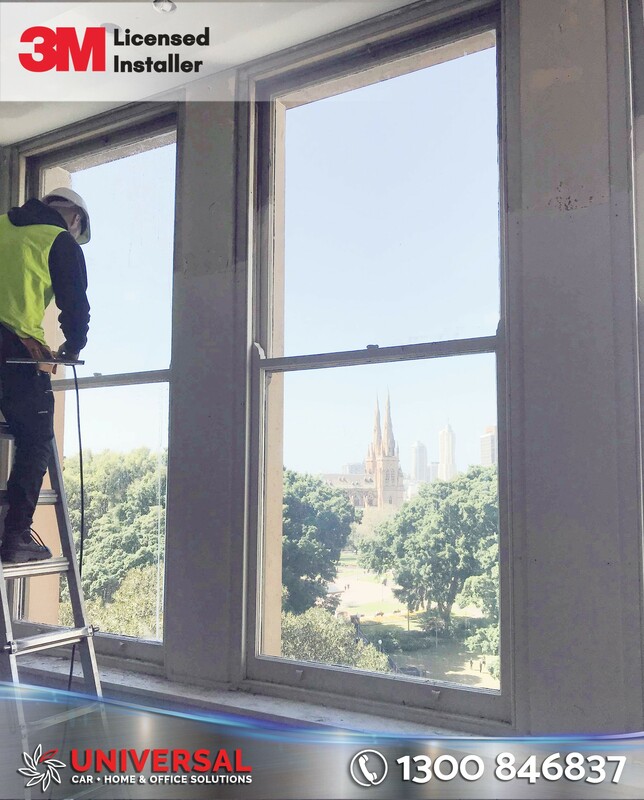 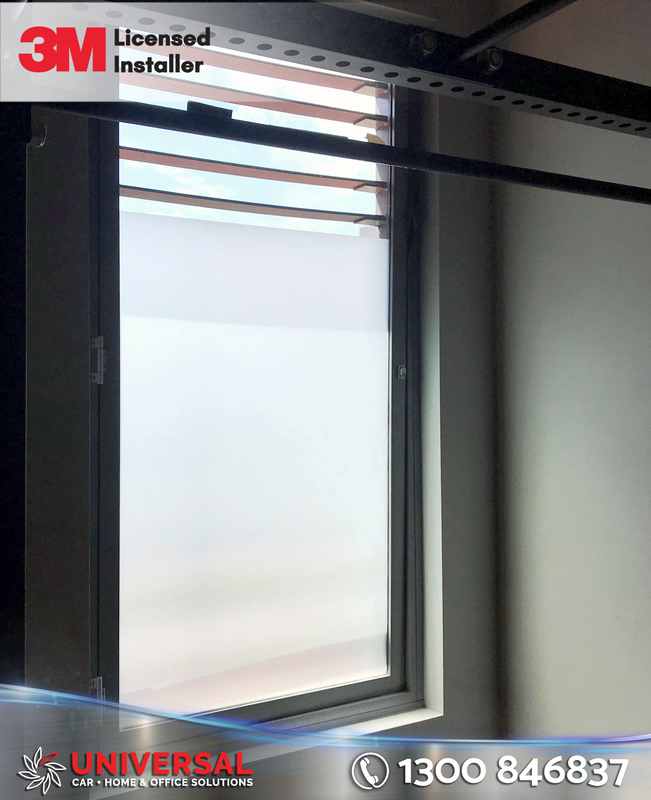 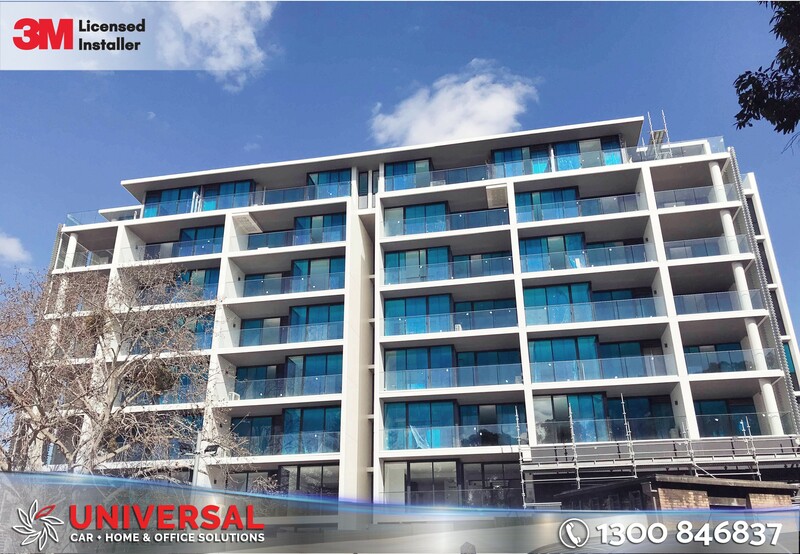 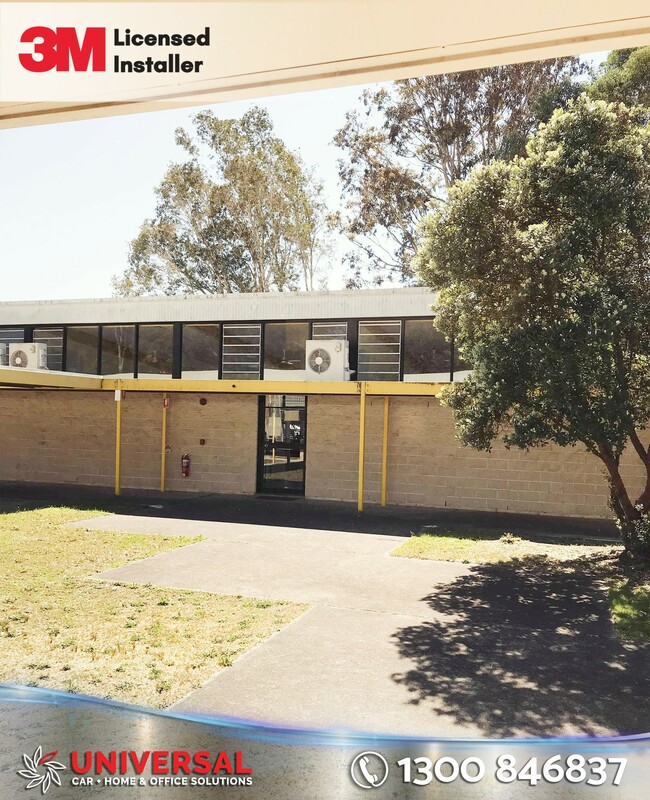 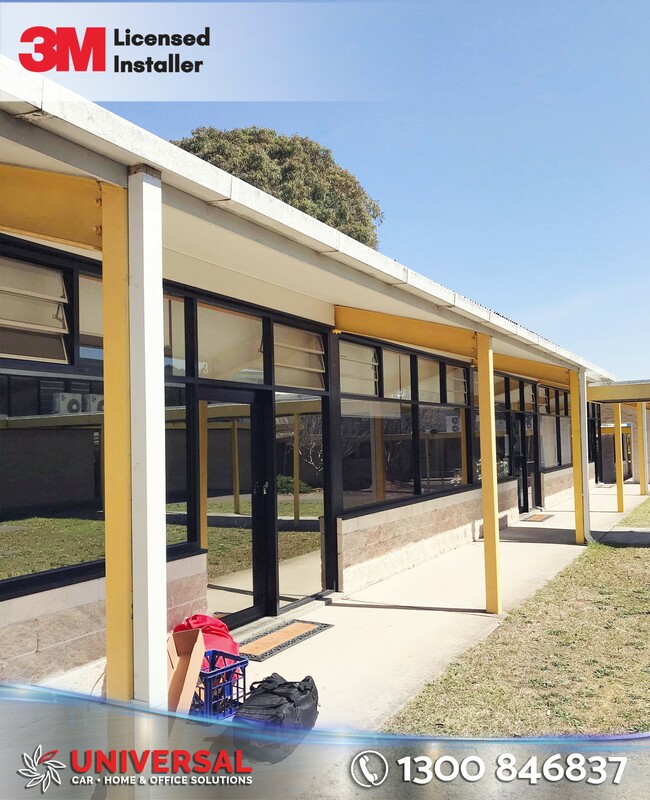 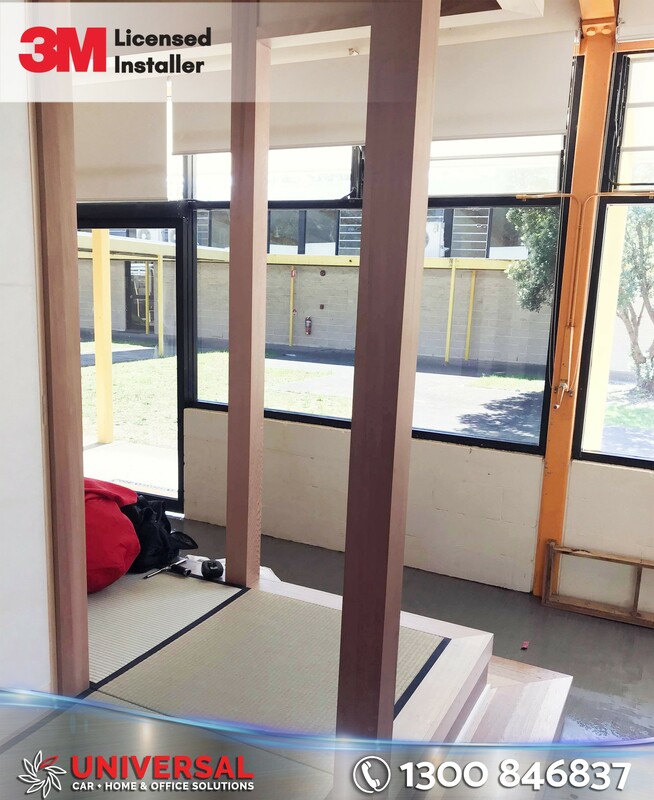 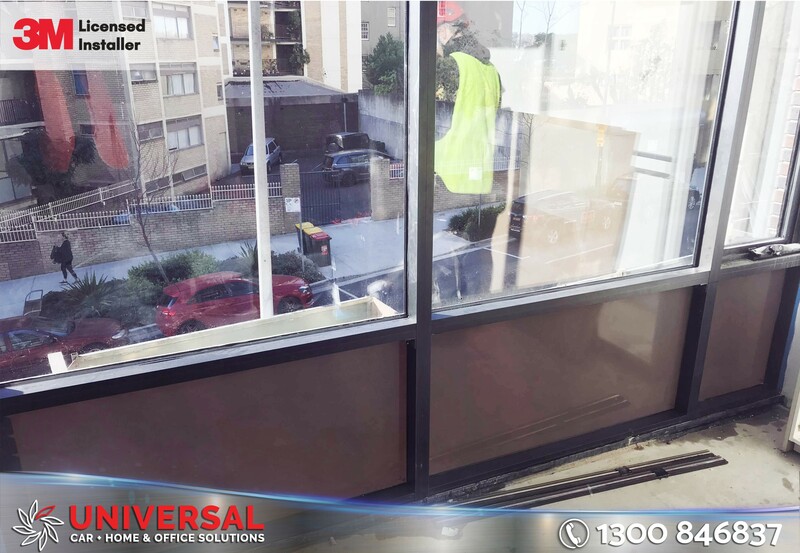 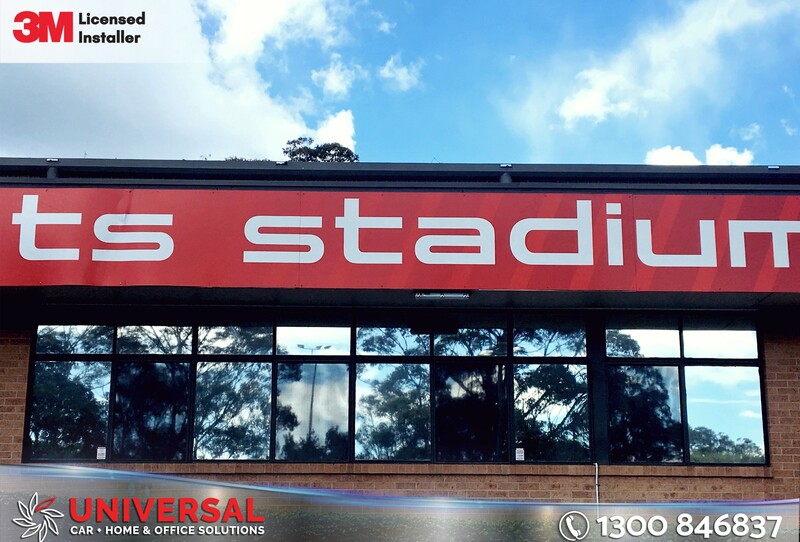 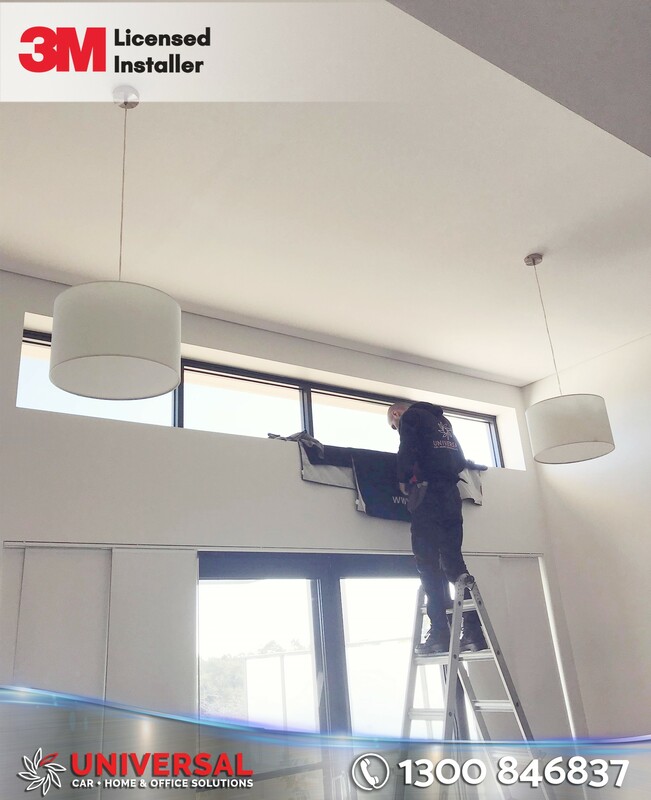 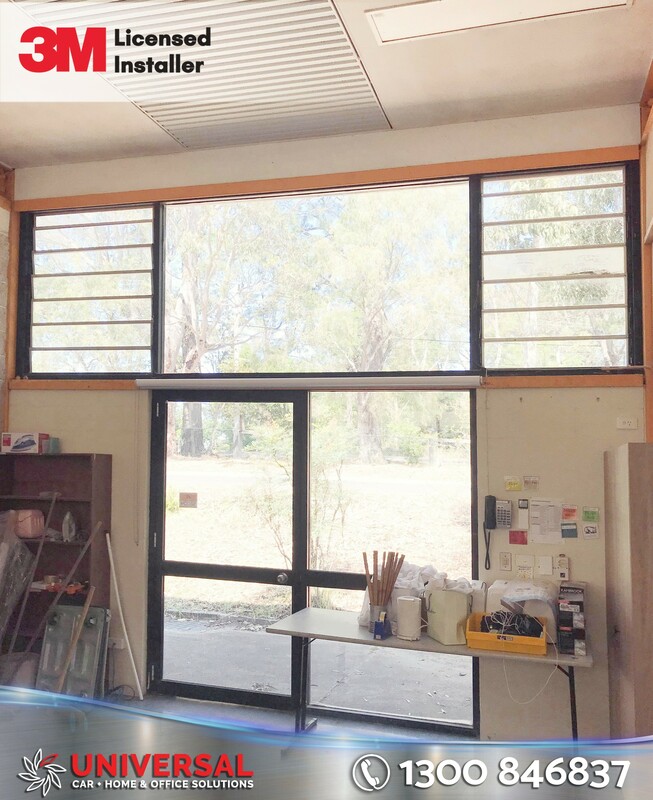 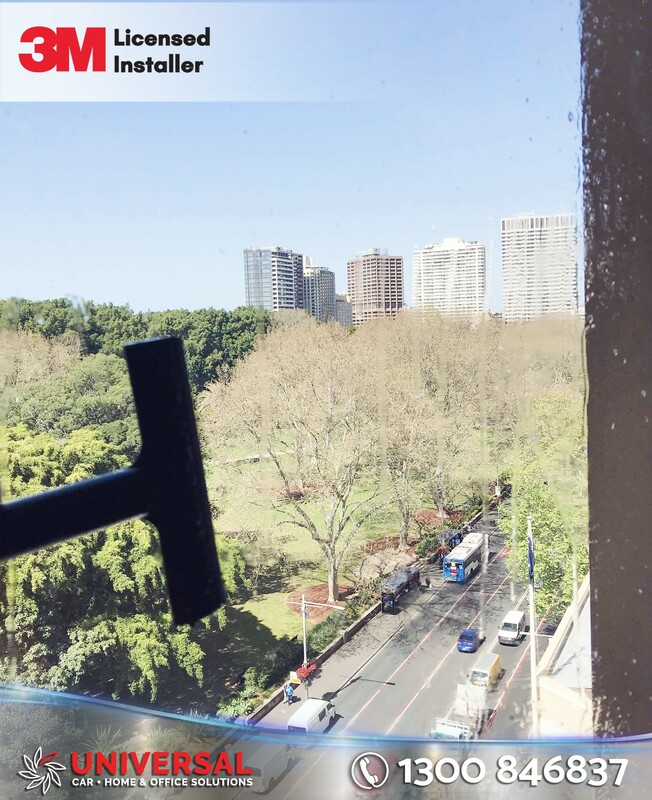 Universal Tint helps students and teachers at the Sydney Japanese International School keep cool from the heat, whilst protecting the windows from shattering and break ins, by removing old window film and applying new 3M Safety Film and 3M Night Vision Film on to the glazed windows. 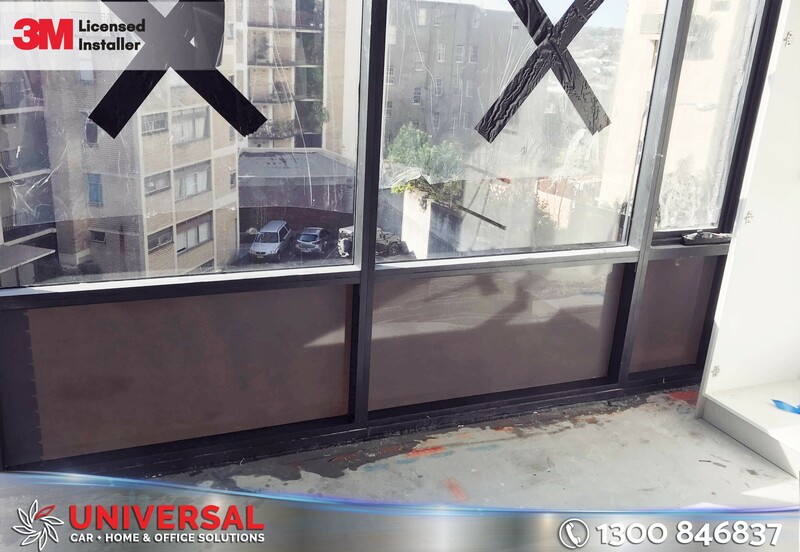 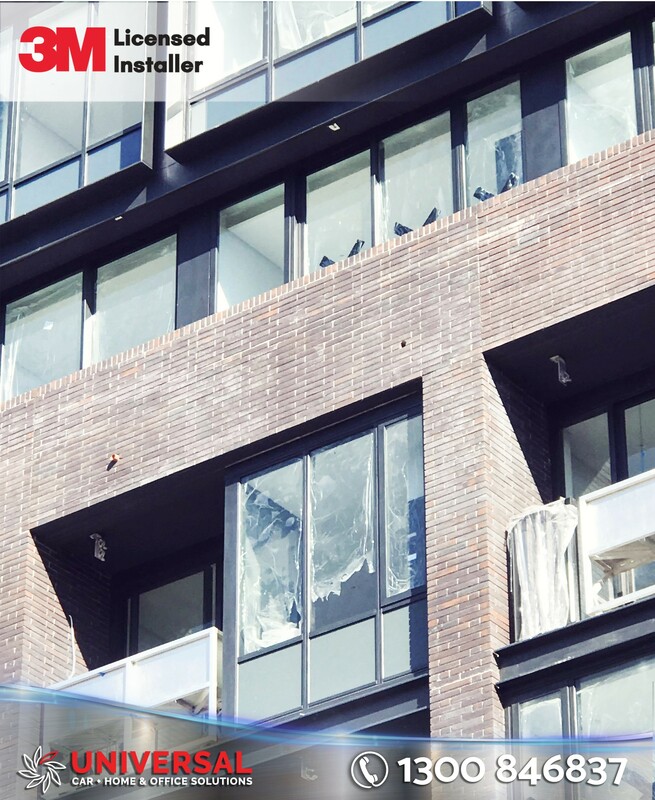 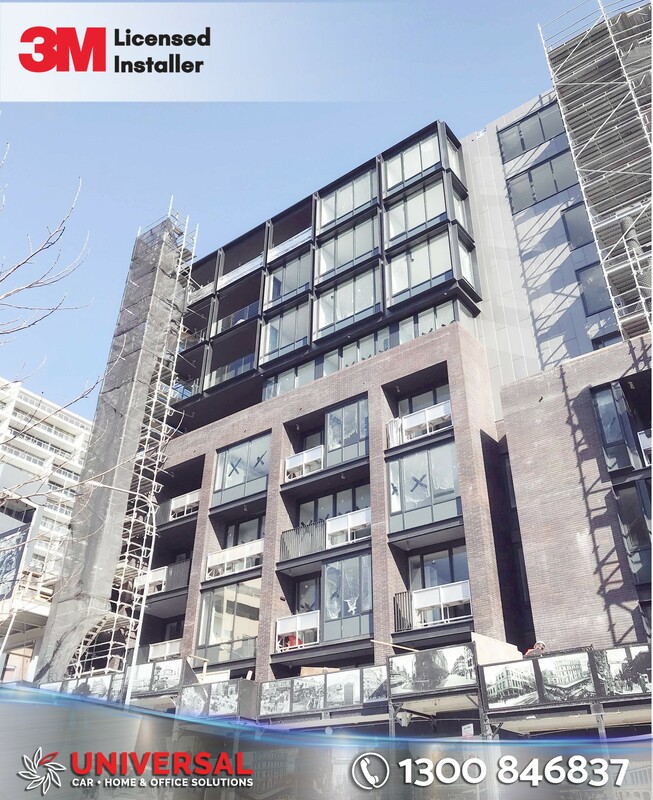 Dark Grey Vinyl was applied to this new Potts Point Apartment complex, to give added privacy and block out from street view on lookers. 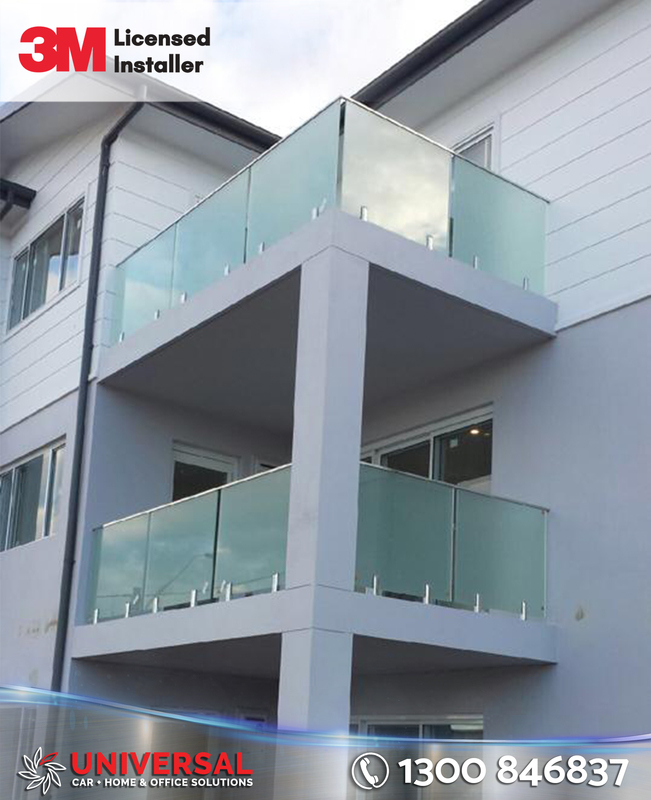 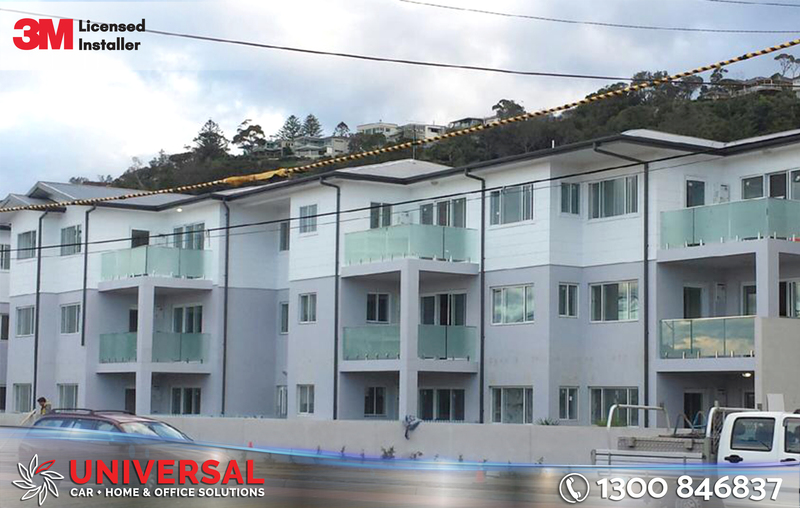 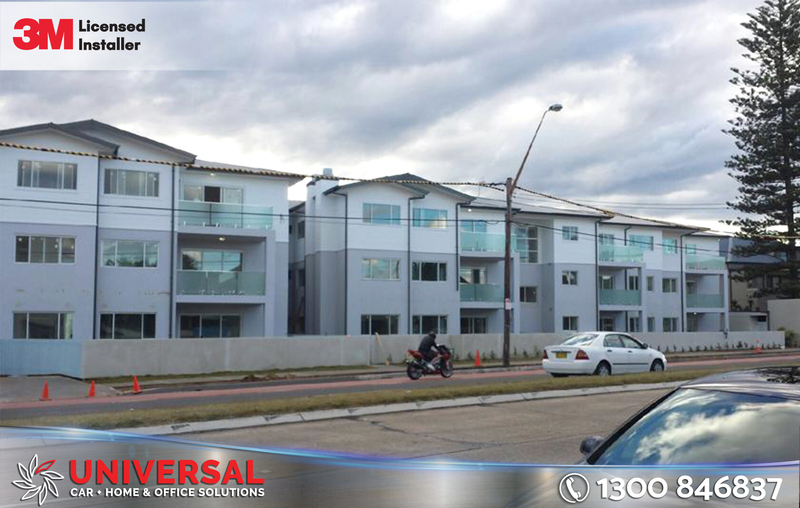 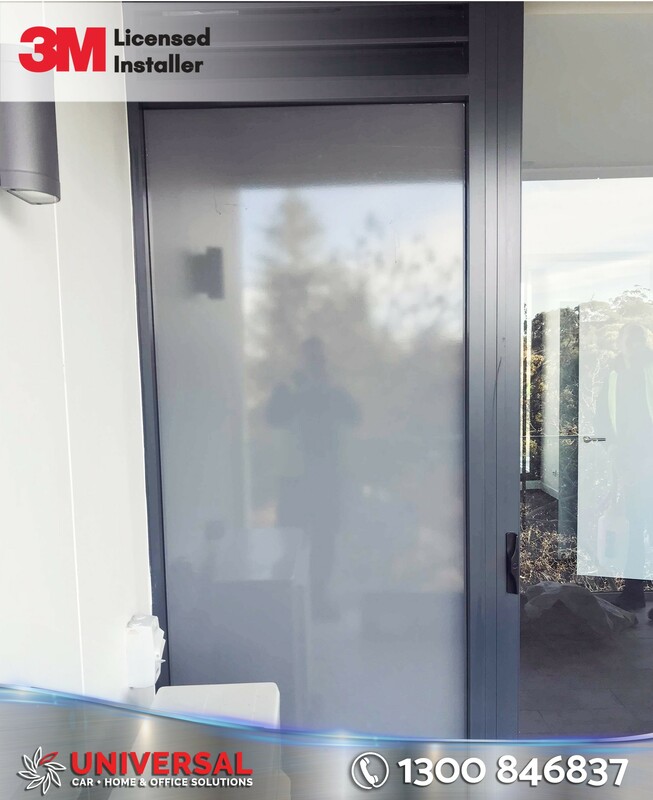 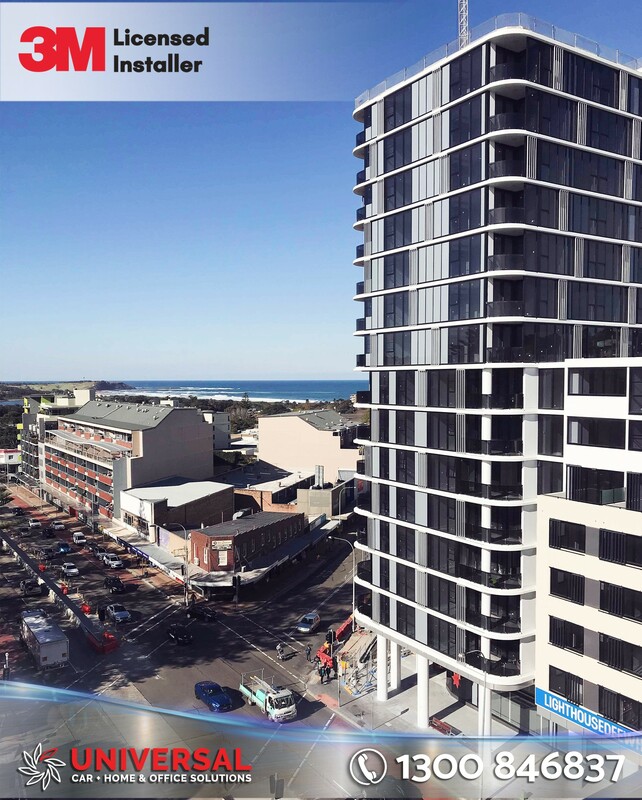 Dark Grey Vinyl was applied to this newly constructed Dee Why apartments to give privacy to residents. 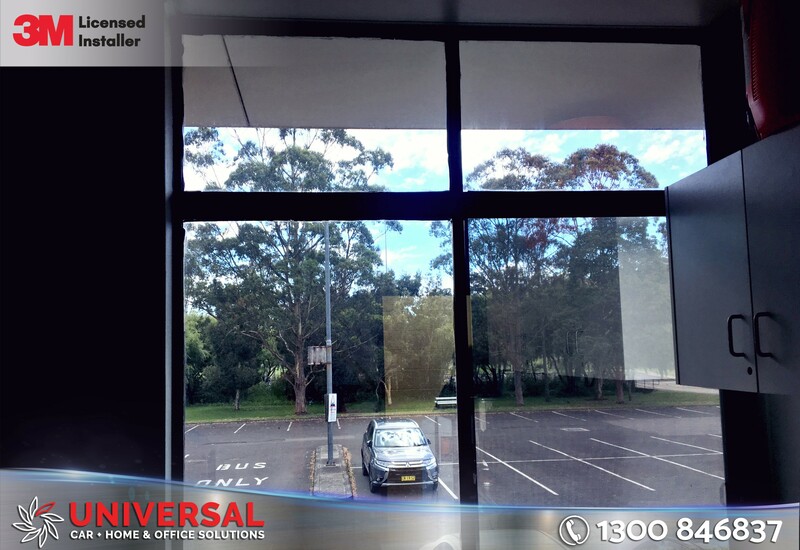 Universal Tint installed 3M sun control Prestige 20% window film at St Ives Business Park to reduce both the winter glare and to reduce heat in preparation for summer! 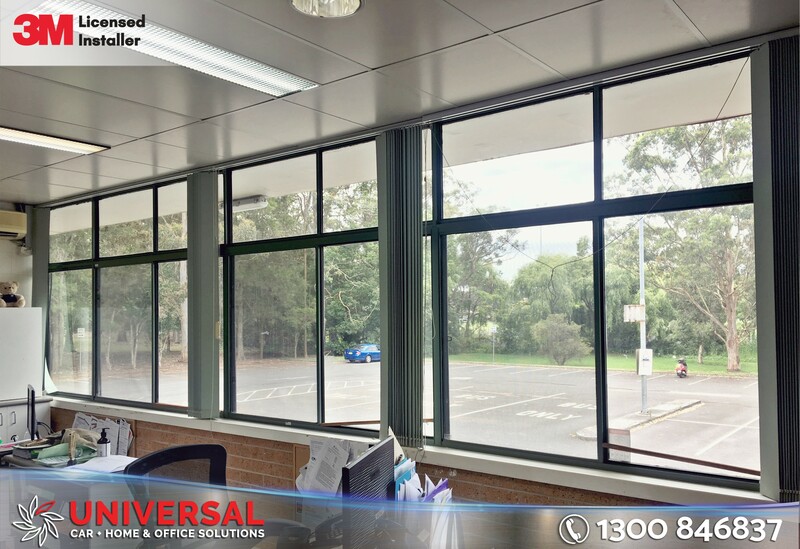 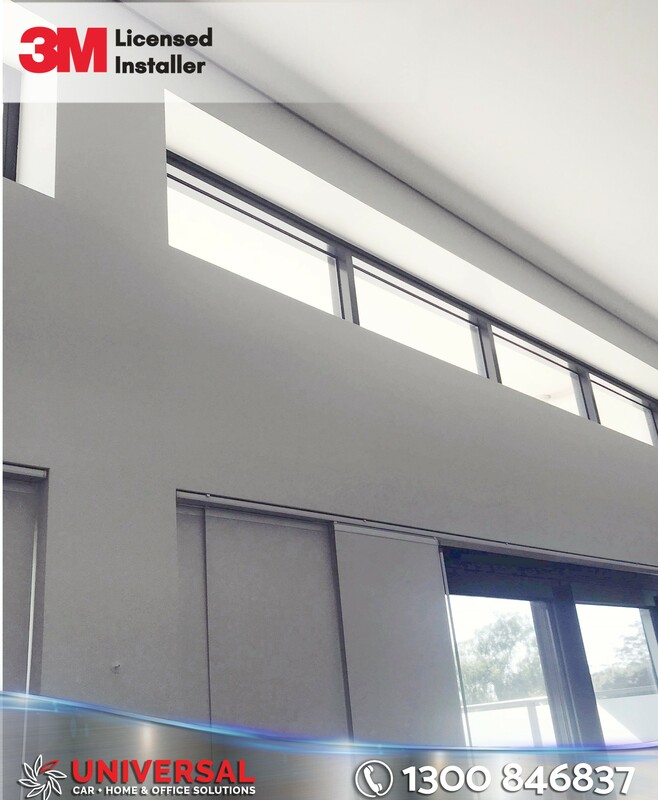 Universal Tint installed reflective 3M sun control P18 window film at Gosford Business Park to reduce both the winter glare and to reduce heat in preparation for summer! 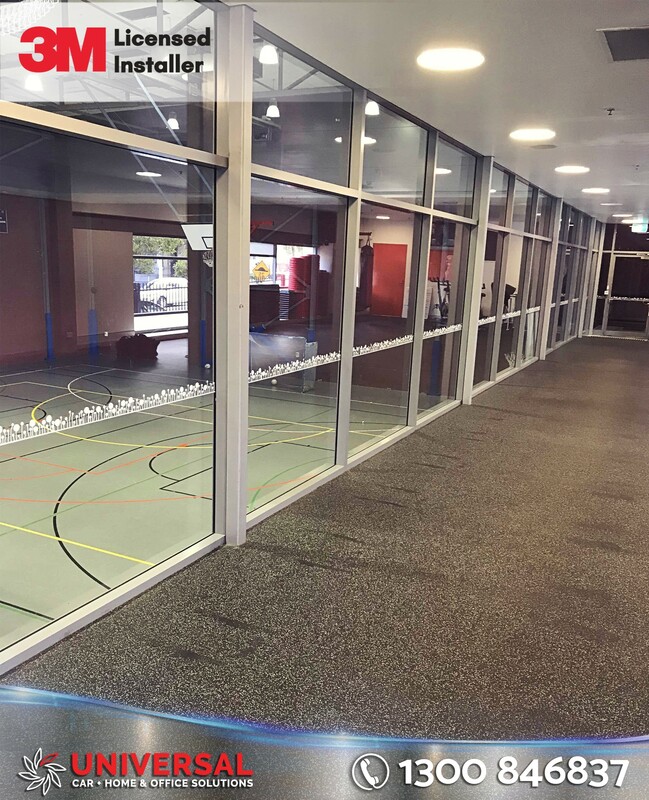 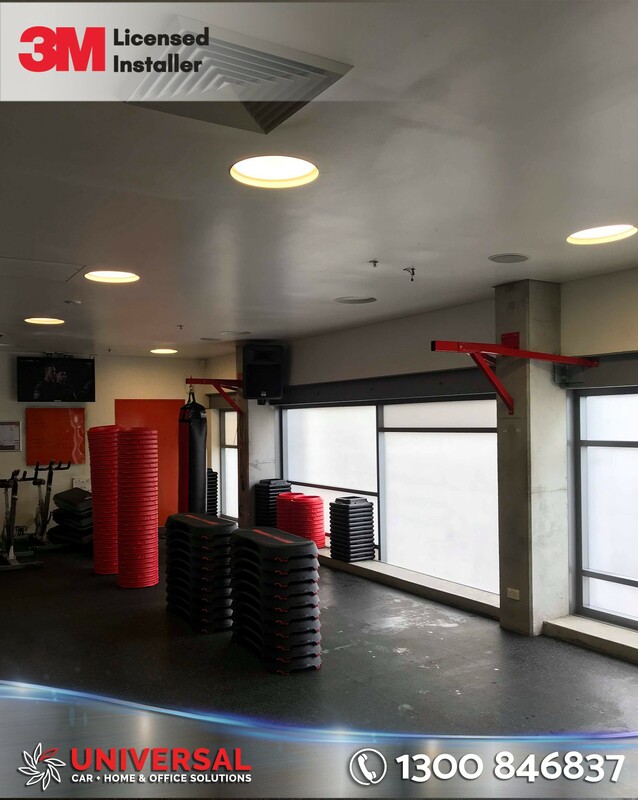 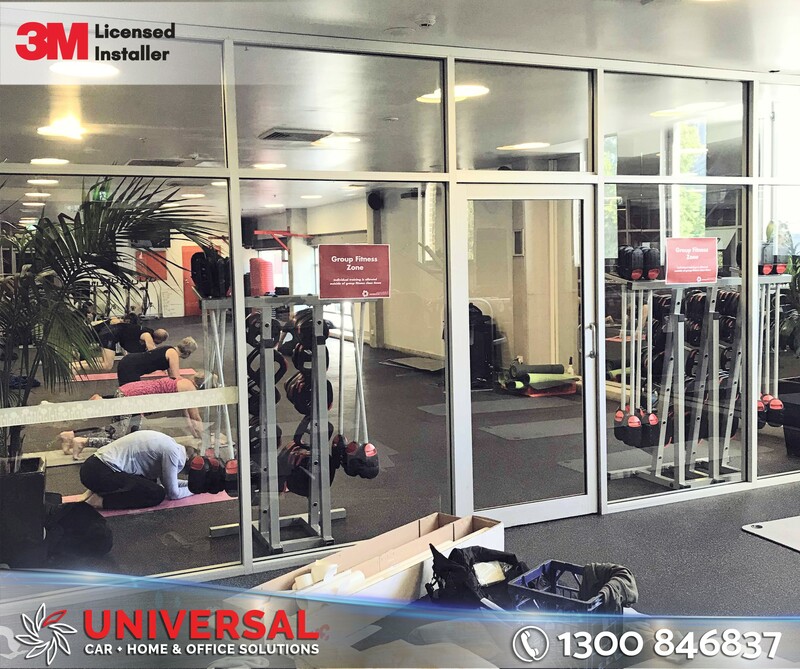 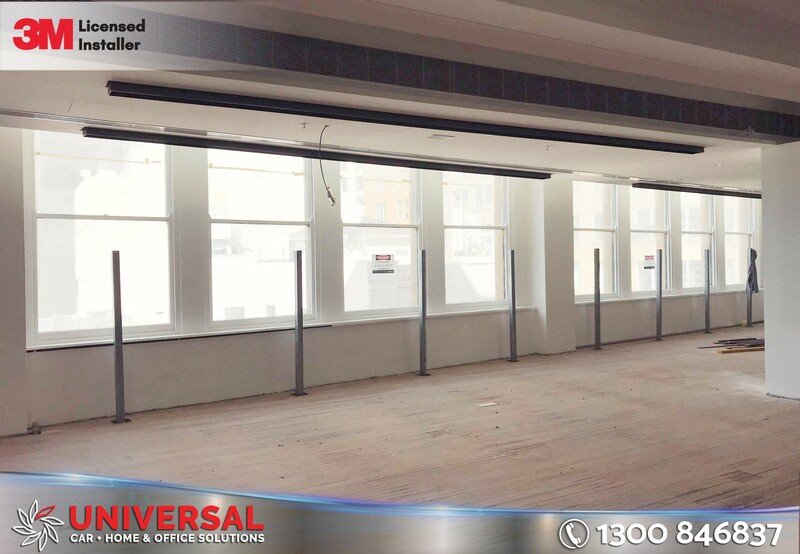 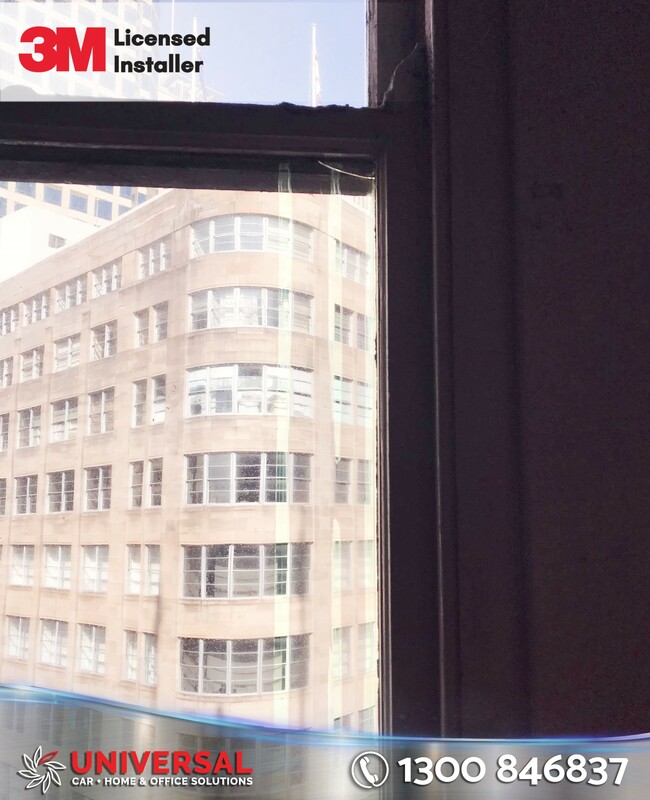 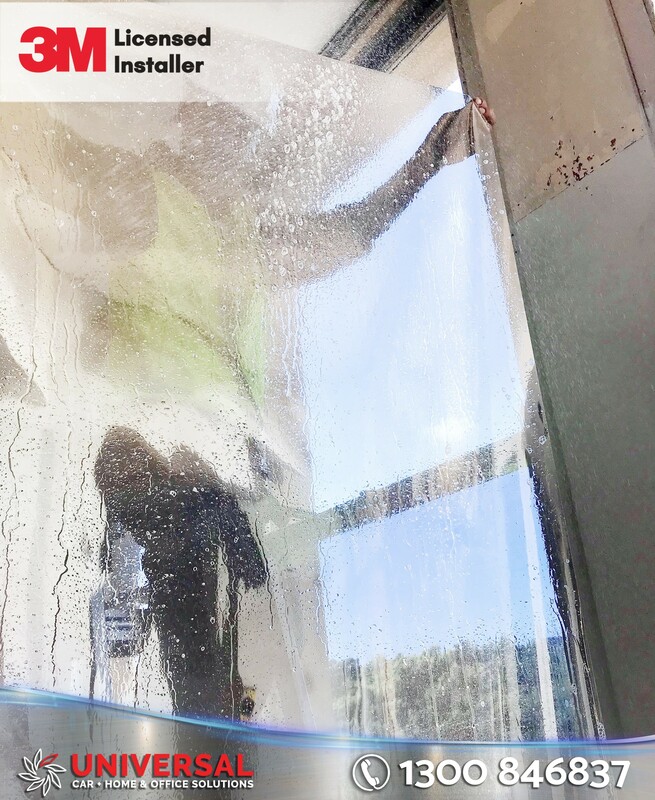 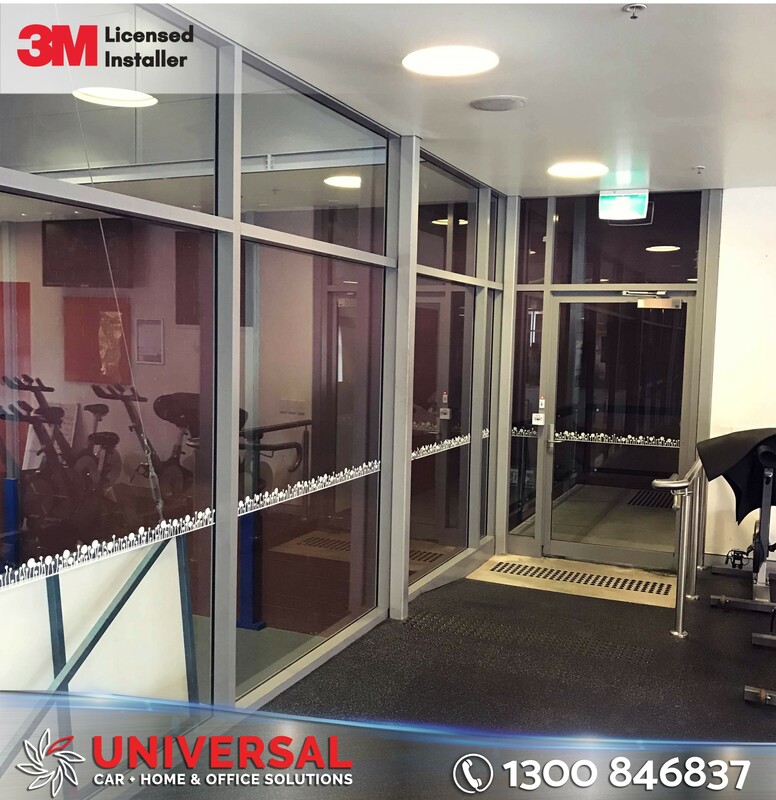 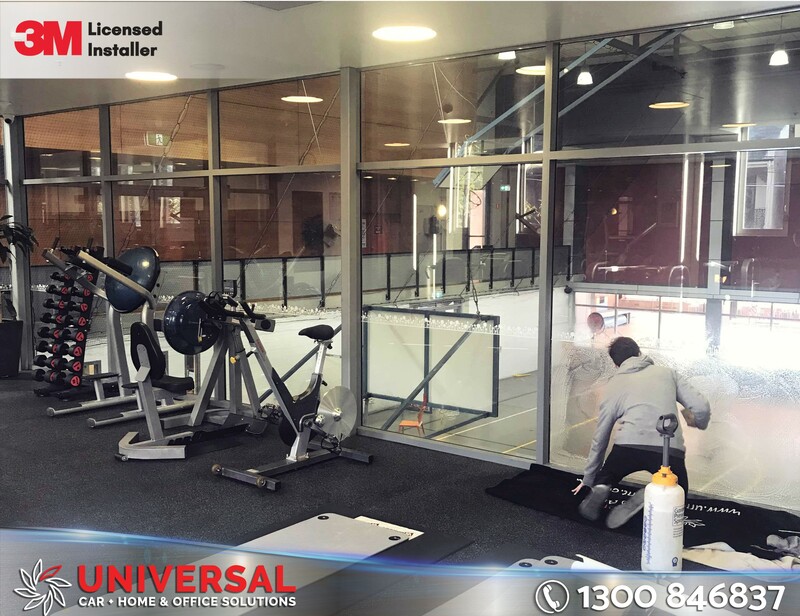 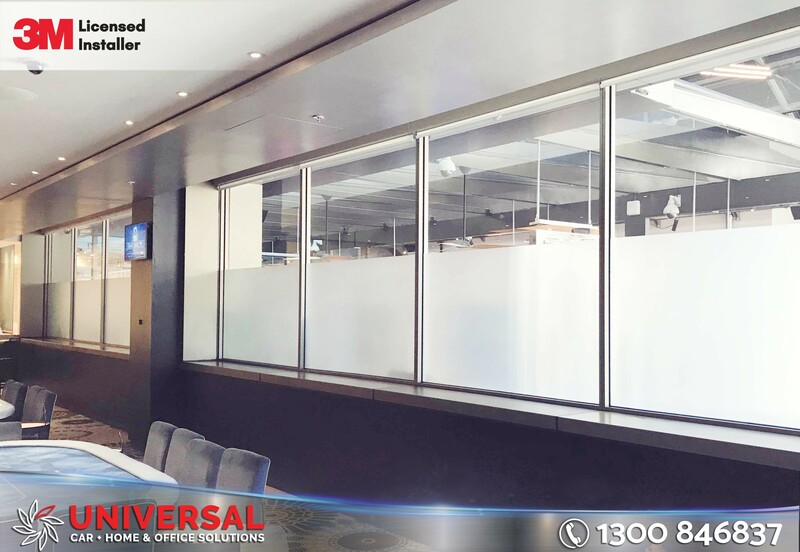 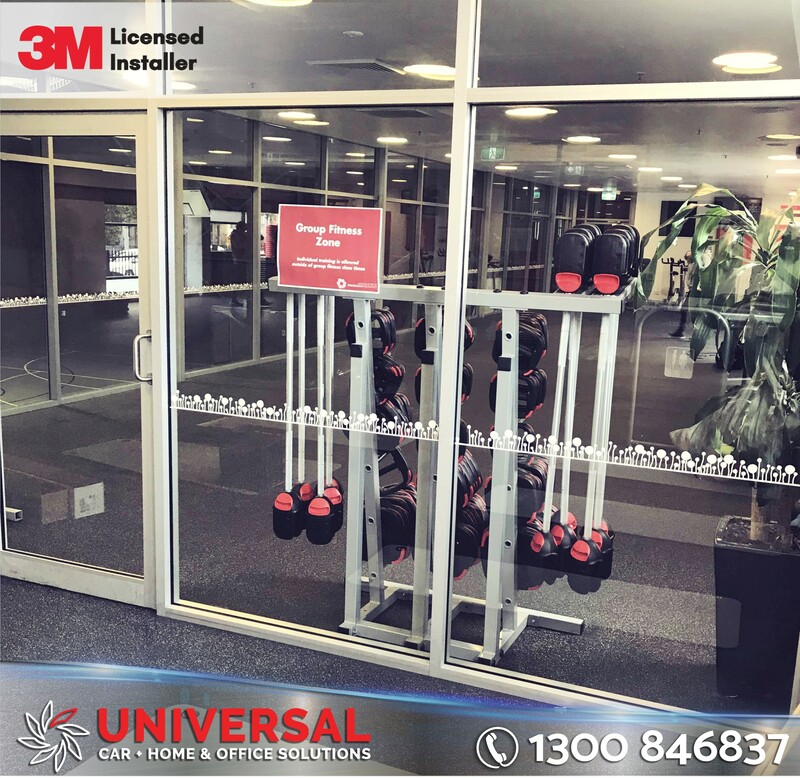 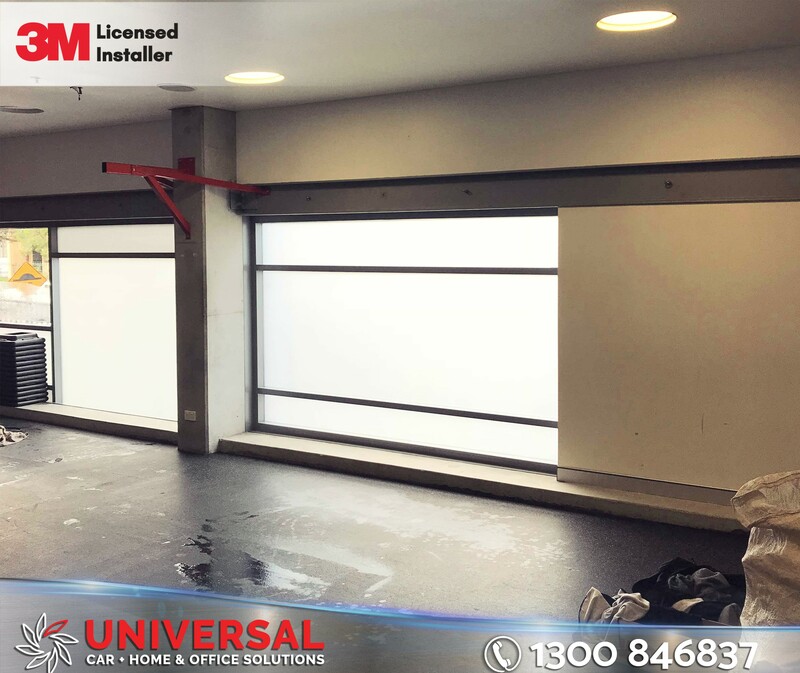 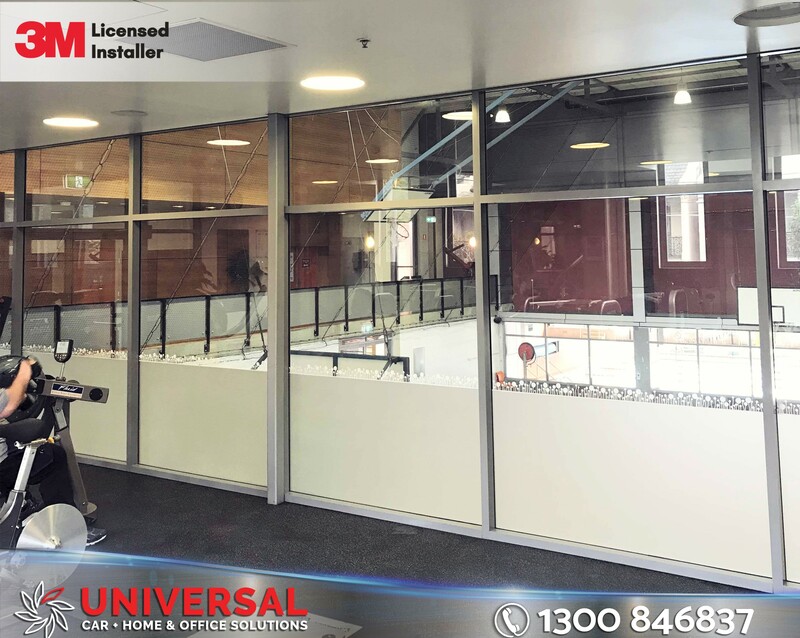 Universal Tint installed a frosted 3M Haze window film to a Redfern Gym to give added privacy to gym members in each training room, whilst still allowing light to enter the room.